Amanda’s note: Here is another wonderful contribution from Ramya Venkateshwaran who writes from her home in India. 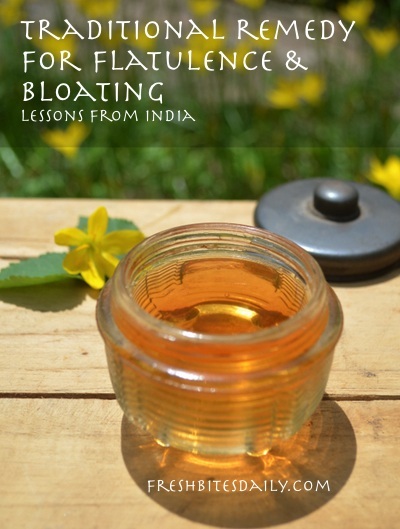 Ramya describes her homemade remedy for flatulence and bloating. Find her on her website WildTurmeric.net for more ideas on healthy living. 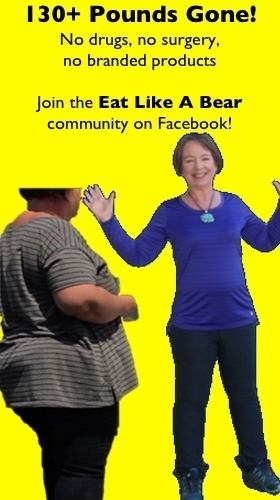 ~~~We all experience indigestion from time to time especially if we tend to eat greasy or processed foods a lot. The usual symptoms of indigestion are lack of appetite, bloated stomach, and general uneasiness. It is easier to treat indigestion at home. If you have the ingredients, it can be made in a matter of minutes. Last week when I visited my sisters house, it was windy, cold and slightly raining. There was an electrical power outage too which made things worse and the children were all getting bored. To cheer them up, my sister suggested that we make some snacks for them. Hot homemade bajjis were ready within half an hour and we enjoyed eating it. The problem was I was very hungry and ended up eating lot more bajjis than I normally do. By dinner time, I was bloated and very uneasy and I totally skipped dinner but within half an hour my stomach started hurting and I was feeling very nauseous too. I went into my sisters pantry looking for some thing to ease the uneasiness and bloating. She had small bottles of fennel, aniseed, and caraway seeds in her pantry and I also noticed that she had bought a big box of chamomile tea bags. Usually we only boil the three seeds to make an infusion and use it as a home remedy for flatulence but since my sister had chamomile, after making the infusion with the seeds, I just let the chamomile tea bag steep in the infusion. I also sweetened it a bit with honey and drank the infusion. After 10 to 15 minutes, my stomach pain subsided a bit and I joined the kids in their card game though I was feeling a bit uneasy. After an hour of playing, I suddenly realized that the abdominal bloating and uneasiness was gone! I also slept well that night and I think the chamomile tea helped me relax. This is such an effective remedy that can be used by everyone. All these three seeds in this infusion are known for their amazing ability to treat flatulence. I would suggest that you make the infusion with all the three seeds for best results but if you can’t manage to get all the three seeds, you can also make with only two of the seeds. This blend can be used for treating children too, only decrease the dosage. Boil the three seeds in a cup of water and once the water color changes, switch the heat off and strain. Add a chamomile tea bag and let it steep until the infusion cools down a bit. Sweeten with honey and enjoy your drink. For children, three tablespoons of this drink will work well. This tea is usually very mild on the stomach and generally agrees with everyone.